100% of your donation goes to support our mission. Not ready to adopt? Sponsor a pet in need. Our mission is to save as many animals in need as possible, and adopting them into loving forever homes. We mainly work with dogs and cats, but we also take in small animals like rabbits and guinea pigs, and hope to one day accommodate large animals like horses. We currently run as a foster home based facility, but hope in the near future to acquire land to start building a facility where we can expand our rescue operations. If you are interested in helping us with that goal, please click the donate button. Any amount helps! All Life Animal Rescue is a "no-kill" rescue group. We are not breed specific, and while pets in "kill" shelters take the priority of coming into our rescue, we also take in owner surrender and breeder release dogs. As a "no-kill" rescue, we do not euthanize for space, but we are transparent with all of our supporters that animals that are too aggressive or have extreme/untreatable illness or injury will be humanely euthanized. This is not a decision we take lightly and nearly all animals we rescue will make it into loving permanent homes. 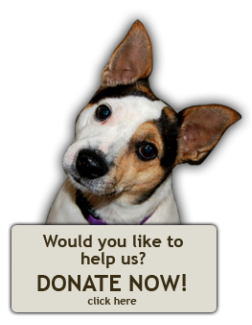 Donate today by clicking on the dog below. Donations go towards, Food, Medicine, Surgery costs, facility goals and more. The All Life Animal Rescue discount program is not a "daily deals" site. We have permanently negotiated amazing rates with national vendors such as Office Depot®. 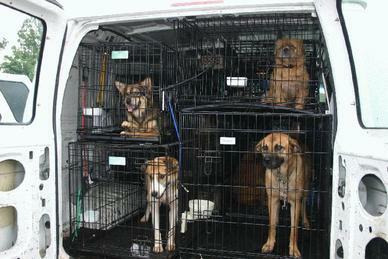 Donate today, and help us raise money for a transport vehicle and to build a new facility!